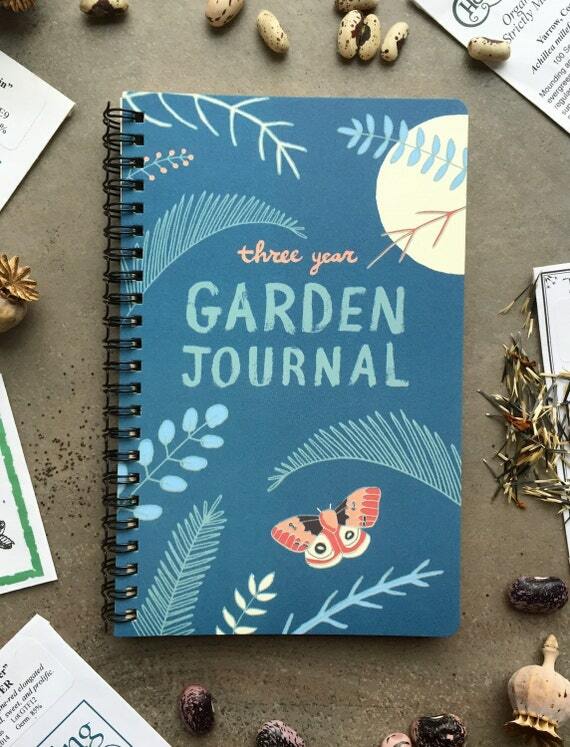 Are you on the hunt for some beautiful gifts for the garden lover in your life? This collection of Etsy handmade and unique gifts for gardeners is is sure to give you a few great ideas… maybe you’ll even see a few things for yourself! All these items have been found on Etsy (an online marketplace for small crafters and businesses to promote and sell their work). You’ll find gardening supplies, ornaments, clothing, cute fun things, and even some jewelry. For your convenience the links will bring you directly to the item on Etsy. Beneficial bugs are a gardeners best friend. 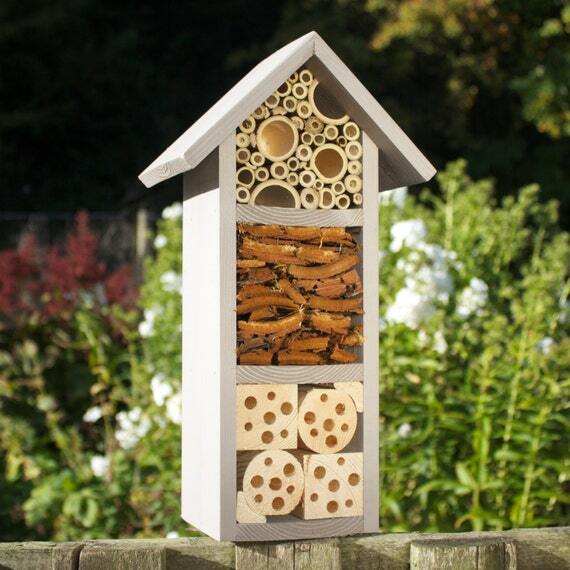 These insect houses have become quite popular lately and I can see why. They’re cute, and super useful! Solitary bees and wasps use the small tunnels to lay eggs and other insects like ladybugs and lacewings will overwinter in the shelter of the bark and wood. Isn’t this so true! 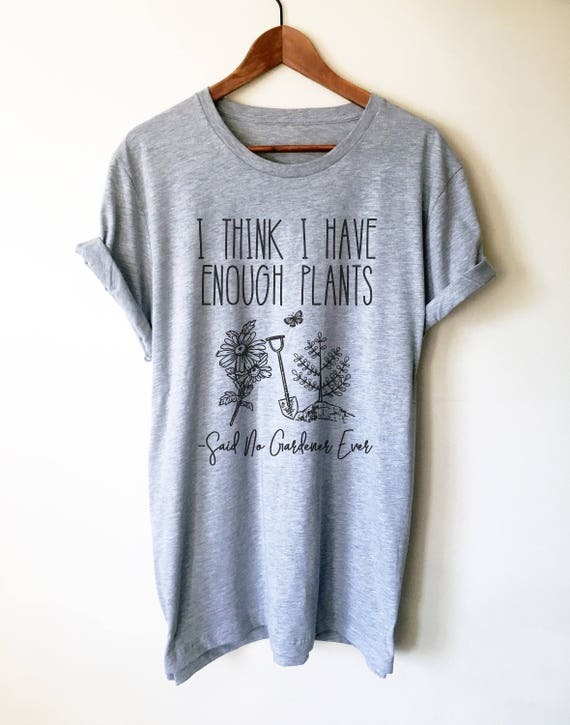 For all true plant lovers, it just starts with one… and then another… and then, really, why stop! If you know someone like this, then they’ll love this shirt. This is a unisex shirt available in a selection of color and sizes. 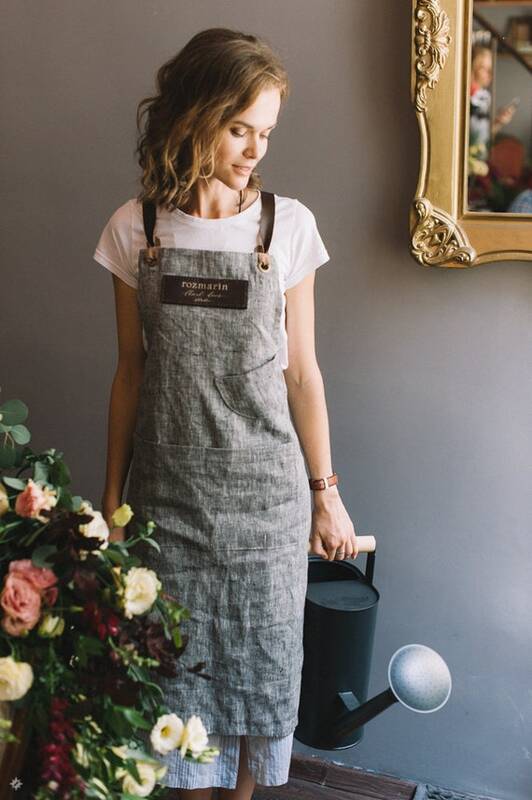 This is a beautifully hand made apron with lovely leather detailing… not your average apron. 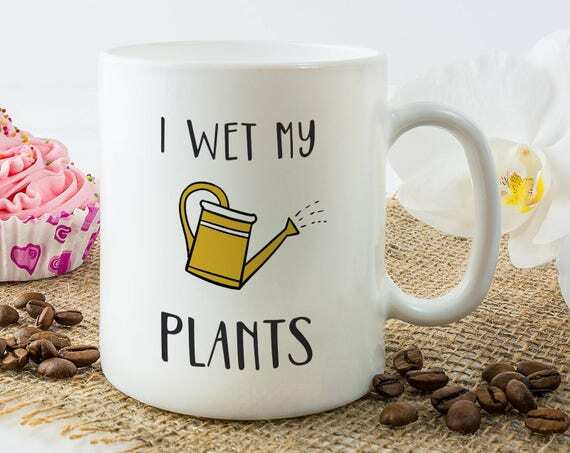 I could see this being used by those women who love to spend the afternoon tending to their flowers and always have a bouquet of freshly picked flowers on their counter. 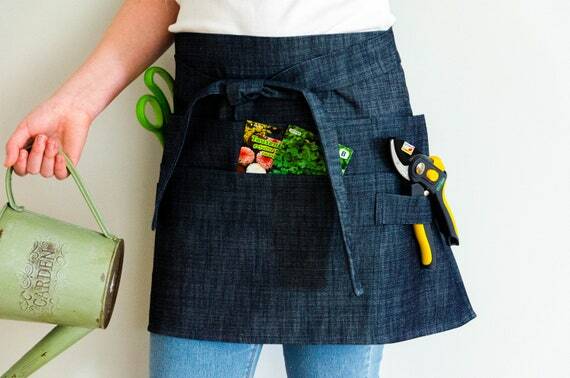 Here’s your standard multi-purpose half apron. Dillhandmade has a variety of apron colors and patterns to choose from. Pictured above is denim, the classic gardener’s apron material. Check out all those pockets too! And, this apron comes sweetly packaged, perfect for gift-giving. Aren’t these lovely? 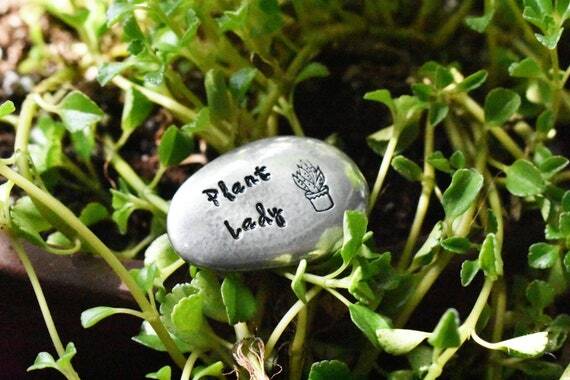 You can custom order whatever herbs or words you’d like stamped onto the plant markers. Tucking one of these in a small potted rosemary would make a perfect hostest gift! Or, gift a set for your friend to decorate her kitchen garden with. 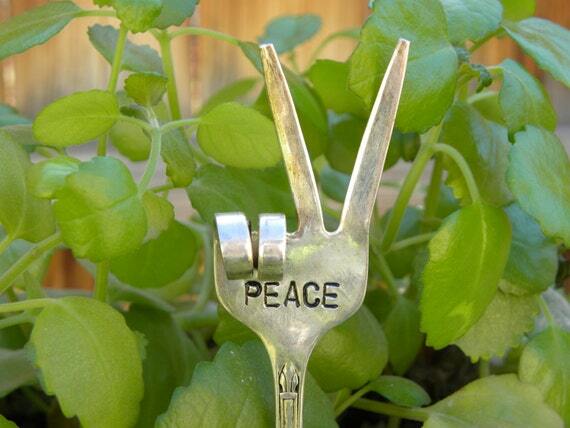 Spread some cheer with this cute little fork marker. This would be cute stuck in a gifted plant, but you could also stab it into a gifted loaf of bread or tie it to a bottle of wine! A worry stone, paper weight, planter decoration, golf ball marker, or anything really! This seller will even do custom wording too. 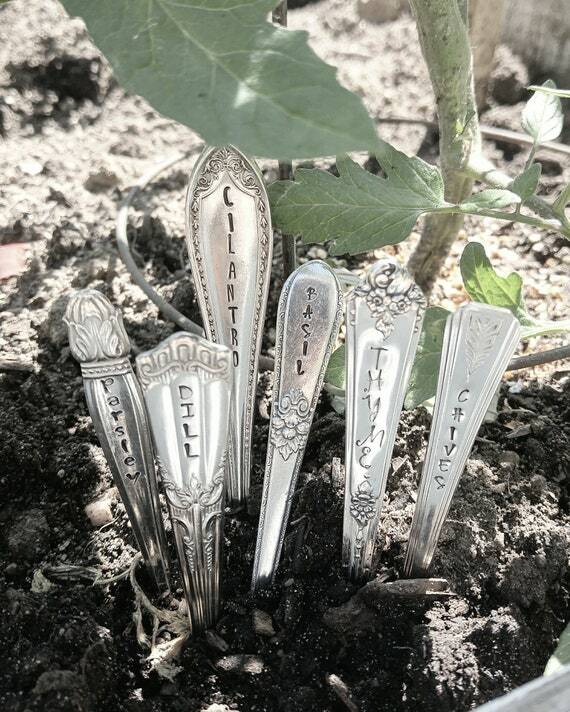 It’s a great little trinket for those gardeners who love little trinkets! 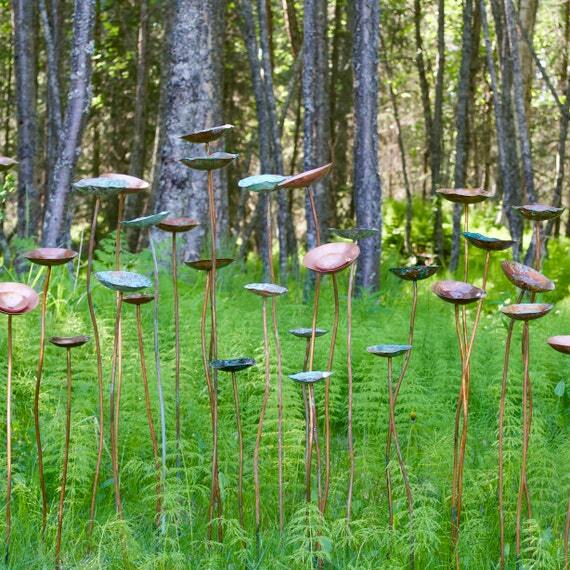 Gift a little gardening excitement with these metal blooms. They sell in groups of 3 varying sizes, and the seller has a variety of metal blooms to choose from. With time the blooms will age and patina, and could be the perfect gift for lovers of a wilder gardenscape. Mismatched earrings are so fun! 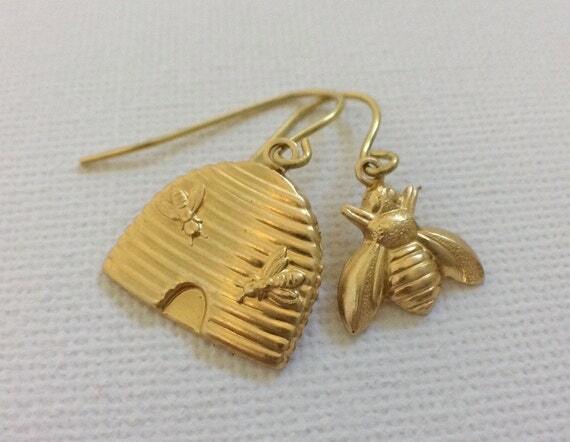 These are made from brass and would make a great stocking stuffer, birthday gift, or addition to a gardeners gift basket. Such a cute idea! 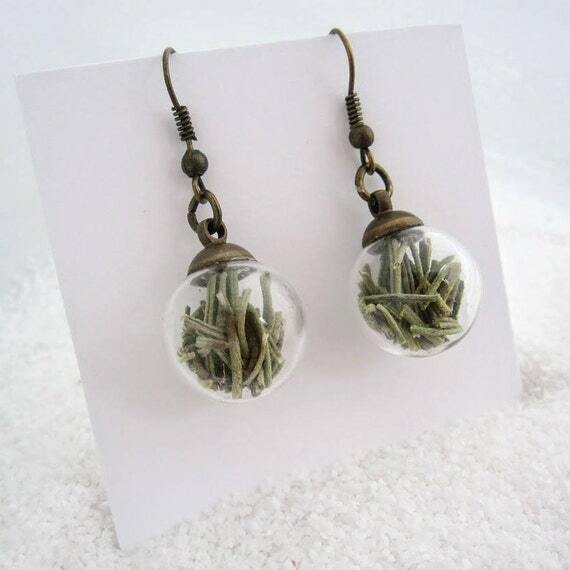 What gardener wouldn’t want to don a piece of the garden with these sweet earrings. Do you know a gardener who would love help to keep track of the garden. They could record the weather, when seeds sprouted, plants bloomed, and vegetables were harvested. Keeping track of the garden is a huge help when it comes to knowing how plants will grow and how best to plan next year’s planting. Saved the best for last! Doesn’t this mug make you giggle? Mugs are the perfect office gift – they’re not too personal, too expensive, and they’re useful. Really, gifts that get used are the best ones, right? Did you find anything you liked? You could even take a few of these items and bundle them all into one big gardening gift basket for the ultimate unique gift for gardeners! Get more gift ideas with this gifts for outdoorsy girls or reusable and handmade gifts for her. Subscribe with Take Them Outside and get ideas, news, activity ideas, and more delivered right to your inbox every week. Start your journey of being more connected to nature today!